When most people that cycle are winding down their season of riding, it’s just starting to get good here in central Texas. I’ve been taking advantage of that and trying to find interesting routes just about every weekend. One of my favorites is the “Little Switzerland” route north of Fredericksburg, TX. Click the route map for all the turn by turn details. This route is a lot of fun. It’s got plenty of quiet rural roads without much traffic and great scenery at just about any time of year. It’s got three sections that are a bit more challenging but at 42 miles, the route isn’t likely to crater your day. North out of F’burg you climb Mt Crabapple on Crabapple Rd. I always stop at the top to look back into the valley. 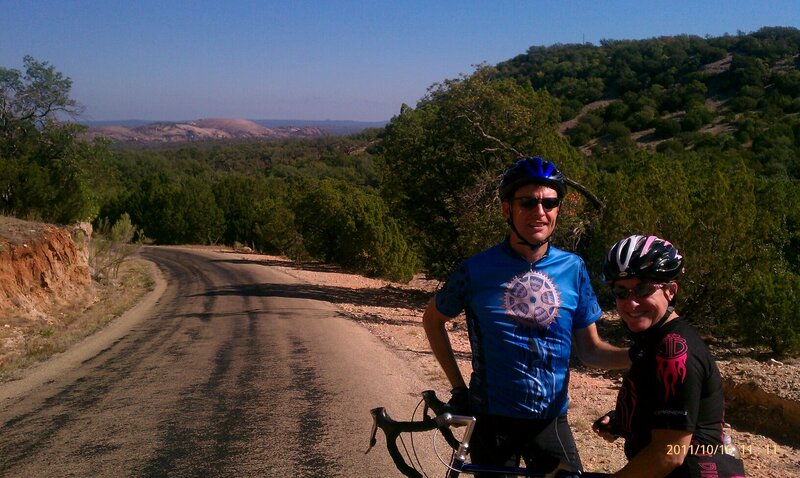 My favorite part of the ride is Welgehausen Rd because it offers sweeping views of Enchanted Rock. As you tear down a long descent it’s hard to take the time to stop and get a look or snap a shot of Enchanted Rock but it’s a great view and worth taking a minute. The picture below of Kem and me was taken at this point and you can see Enchanted Rock in the distance. From this point you climb an area called Swiss Miss and then head south for a long stretch on hwy 2323. For some reason the wind always seems to be coming out of the south here and it is generally uphill at this point in the route too so not surprisingly the stretch is known as the “grinder”. It fits. 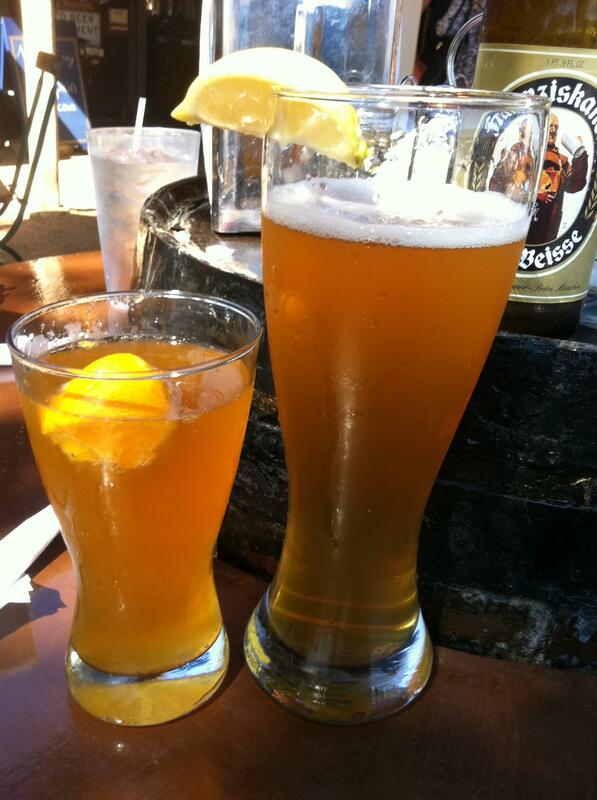 After the ride it was time for a tasty brew and a bite to eat at the Altdorf in Fredericksburg.